Need a create place card in a pinch? 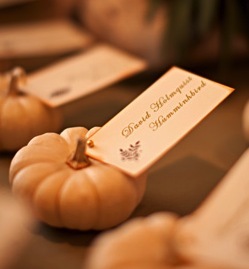 Place a tag on a mini pumpkin like this one for a quick and easy trick. Or if you have a bit more time you can carve out a mouth and add vampire teeth or even paint them to personally fit your fall’s party theme. Use small bottles of dollar store spices for place cards. 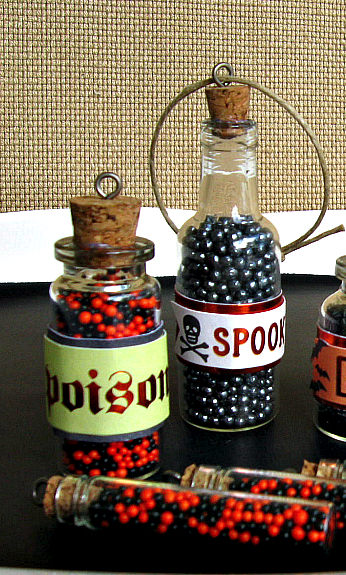 For example, black or white peppercorns become dried frog eyes and kosher salt becomes dried witches tears. 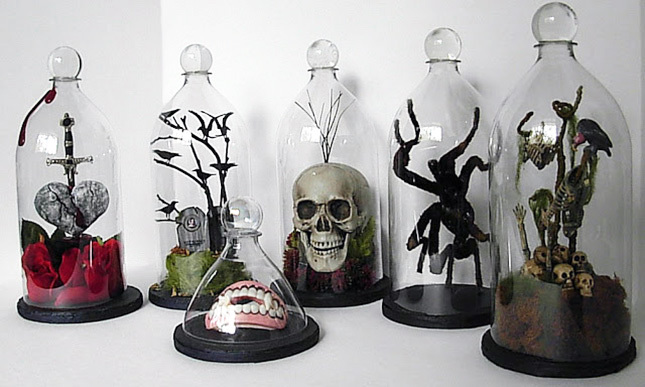 Get creative with a few apothecary jars, a few spooky woodland creatures or simply use bats under the glass. 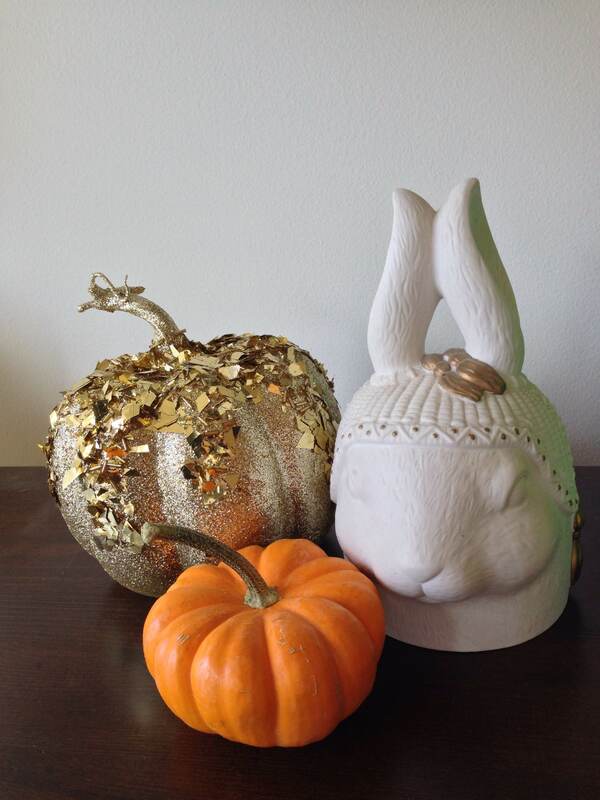 Make your home shine with some spray adhesive and a lot of glitter to create these golden pumpkins. Add the naturally bright and lush texture of white pumpkins and you’ve got a scene that goes further than Halloween. The best part is that this white and gold color palette can be all the way into December holiday season as well. Need something darker in your life? 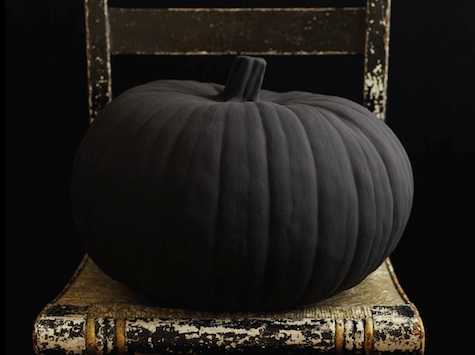 Spray paint your pumpkins black, adding a bow and a few spiderwebs then back them with old wine bottles to be used as candle holders. We suggest red to give the look of blood or for those Hocus Pocus fans like us, a black flame candle from the Sanderson sisters. 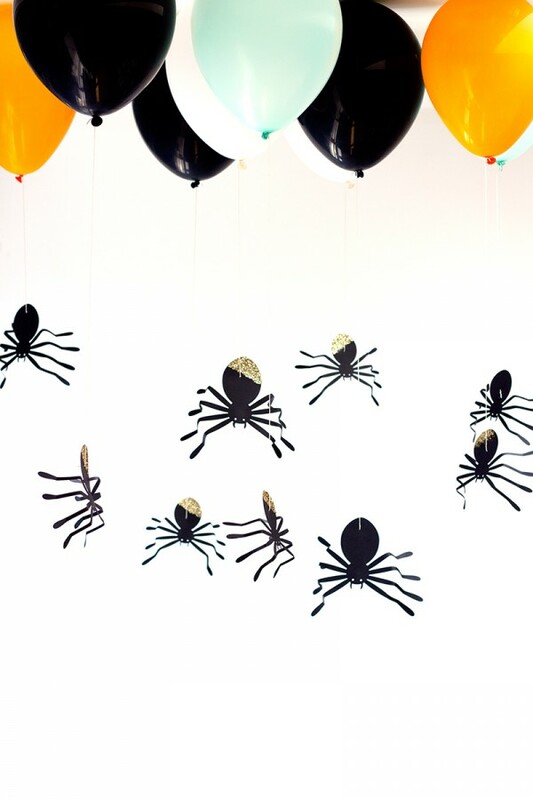 Raise your party atmosphere to new heights by attaching spiders at various lengths to the ends of helium filled balloons with fishing line and place them throughout the room. The effect is as cute as it is creepy and adds a pop of color to your party in the process. If using the traditional gourd around the home isn’t your thing, just fill a vase, or candy dish with fall scented potpourri and accent with a few of the leaves that have begun to fall outside. 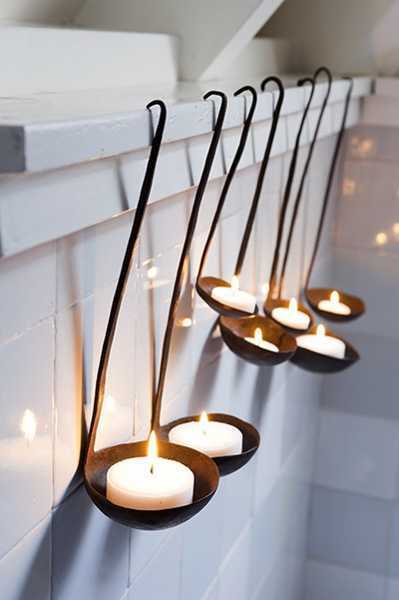 Add a candle for warmth and elegance through out the changing season! 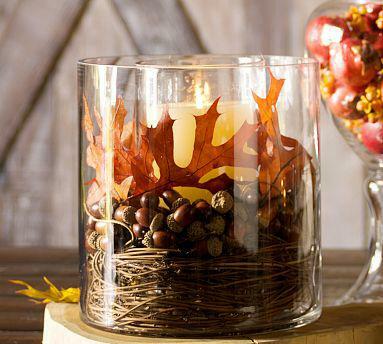 No matter how you celebrate this October, decorating your home is now as easy as pumpkin pie!